The Terms constitute an agreement between you and Kashmir Crown Media Group including its affiliates and suppliers (collectively “Kashmir Crown”), defining your and Kashmir Crown’s rights and responsibilities with respect to the Service. To use a Service you may need to register and create an account with a username and a password. You may need to provide us with certain personal and other information. Kashmir Crown may verify your email address before your account can be used. You agree to provide truthful and complete information when you register for the Service and to keep that information updated. You must take due care to protect your username and password against misuse by others and promptly notify Kashmir Crown about any misuse. You are personally responsible for any use of the Service. You may terminate your registration if you no longer wish to use the Service. After termination, you will no longer have access to the Service. Kashmir Crown may terminate your registration or restrict your access to certain parts of the Service if Kashmir Crown reasonably believes that you have breached the Terms. Kashmir Crown gives you a non-exclusive, non-transferable license, revocable at any time at Kashmir Crown sole discretion, to access and use the Service strictly in accordance with the Terms. Use of the Service does not grant you any intellectual property rights in or to any information or content in the Service. As part of the Service, Kashmir Crown may provide you with content developed by Kashmir Crown or its licensors (“Content”). Kashmir Crown grants you a non-exclusive and perpetual license to use Content for the purpose it is intended, unless otherwise defined in the applicable Terms or the purchase order. You are bound by any restrictions applicable to specific Content you obtain through the Service. Any license acquired to third-party Content is a binding agreement between you and the third-party Content provider. You have only the rights to the Content which are expressly granted here. As part of the Service, Kashmir Crown may provide you with certain software developed by Kashmir Crown or, its licensors (“Software”). Your use of Software may be subject to separate terms and conditions that you must accept before using the Software. If there are no separate terms and conditions applicable to such Software, the following terms apply: Kashmir Crown grants to you a limited, non-exclusive, non-transferable right to install and use the Software on your computer and/or mobile device. You may not copy the Software, except to make a single archival backup copy. You may not distribute, transfer the right to use, modify, translate, reproduce, resell, sublicense, rent, lease, reverse engineer, or otherwise attempt to discover the source code of or make derivative works of the Software. For open source licensed software, applicable open source license terms apply. You may be able to submit information or content (“Material”) to the Service. Kashmir Crown does not claim ownership in your Material. Your submission of Material does not transfer ownership of rights of the Material to Kashmir Crown. KC is only transmitting the Material and is not responsible for editorial control over it. By submitting Material to the Service you grant Kashmir Crown News a world-wide, non-exclusive, sub-licensable, assignable, fully paid-up, royalty-free, perpetual and irrevocable license to use, copy, publicly perform, display, distribute in any media and modify the Material to incorporate the Material into other works, and to grant similar sublicenses to the extent necessary for Kashmir Crown to provide the Service. You may be able to adjust this grant in the privacy and other settings of the Service. You are solely responsible for taking backup copies of the data you store on the Service, including Content you upload. If the Service is discontinued or canceled, Kashmir Crown may permanently delete your data. Kashmir Crown has no obligation to return data to you after the Service is discontinued or cancelled. Not submit unlawful, offensive, inaccurate, misleading, abusive, pornographic, harassing, libelous, blasphemous, defamatory, obscene, pedophilic, invasive of another’s privacy, hateful, racially or ethically objectionable, disparaging, relating to or encouraging money laundering or gambling, or otherwise inappropriate material. Not to upload or share any information that impersonates another person, threatens the unity, integrity, defence, security or sovereignty of state. Not use any other technologies or initiate other activities that may harm the Service, or the interest or property of the Service users. Not to use any automated systems or means to access, acquire, copy or monitor any part of the service. Be responsible for the consequences related to the Material that you post. Restrict access to any part of the Service at any time in its sole discretion. The Content is owned and/or controlled by Kashmir Crown and/or its respective licensors and is protected by intellectual property laws. The third party Content provider is solely responsible for any Content it provides, any warranties to the extent that such warranties have not been disclaimed and for any claims you may have relating to that Content or your use of that Content. However, Kashmir Crown reserves the right to enforce the third party Content license terms against you as a third party beneficiary of those terms. The third party Content providers are third-party beneficiaries under these Terms and may enforce the provisions that directly concern the Content in which they have rights. Kashmir Crown News may be acting as an agent for third party Content provider in providing the Content to you. Kashmir Crown is not a party to the transaction between you and the third party Content provider for such Content. Kashmir Crown may include access to sites and services on the Internet or preloaded clients that enable you to interact with sites and services that are owned or operated by third parties and that are not part of the Service. You must review and agree to the terms and conditions of these sites or services before using these sites or services. Kashmir Crown has no control over the third party content, sites or services and assumes no responsibility for services provided or material created or published on these third-party sites or services. A link to a third-party site does not imply that kashmir Crown endorses the site or the products or services referenced in the site. In addition, you and other users may create content and links to content within the Service that has not otherwise been submitted to the Service. Kashmir Crown is not responsible for this type of content or links. The Terms are governed by the laws of Jammu and Kashmir . The Courts at Kashmir shall have exclusive jurisdiction over any dispute arising out of your use of the Service.Changes in Terms Kashmir Crown may modify the Terms at any time without prior notice. If the Terms are changed in a material, adverse way, Kashmir Crown will provide a separate notice advising of the change. You are responsible for regularly reviewing the Terms. Your continued use of the Service constitutes your consent to any changes and modification. The Service, Content and Software are protected under the copyright laws. Kashmir Crown claims copyrights in its Service, Content, and Software to the maximum extent of the law. Subject to the Terms,kashmir Crown retains all rights, titles and interests in the Service, its Content, the Software and in all other Kashmir Crown products, software and other properties provided to you or used by you through the Service. Kashmir Crown may assign its rights and obligations under these Terms to its subsidiaries, or to any company under common control with Kashmir Crown. 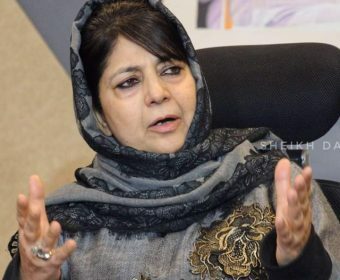 Additionally, Kashmir Crown may assign its rights and obligations under these Terms to a third party in connection with a merger, acquisition, sale of assets, by operation of law or otherwise.